We aim to ensure that our Discovery & Learning sessions are as inclusive as possible, and that they meet the diverse needs of all learners. When booking a session for a mainstream class, any information you can provide about the additional needs of your students will enable us to adapt the session to best meet the needs of your group. Whilst we are unable to create bespoke sessions for SEND groups or schools, we do have a number of existing sessions and activities that are suitable for students with a wide variety of needs. SEND schools and groups are welcome to book sessions for a different Key Stage, if they feel that the level and content would be more appropriate to their students. We have also developed a Visual Story to support students with autistic spectrum conditions, preparing them for their Zoo visit, and introducing them to some of the animals they might meet. To book a self-guided school visit, or to book an education session, please refer to our school bookings information page. For any enquires regarding planning a school visit for your learners with SEND, please contact learning@zsl.org – if you would like to talk to a member of our Discovery & Learning team, please include your telephone number in the email and we will call you back as soon as possible. Free entry for 1-to-1 staff supporting SEND students on school visits. Changing hoist (Molift Mover 180) and changing bed available in our First Aid Room (you will need to bring your own slings). Please contact Supporter Services on 0344 225 1826. 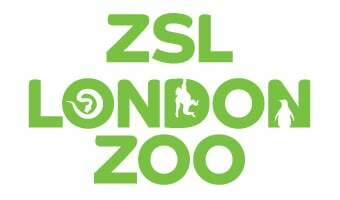 Find out more about Accessibility at ZSL London Zoo.